Sensorpro is an Enterprise survey platform integrated with Salesforce Marketing cloud since 2008. 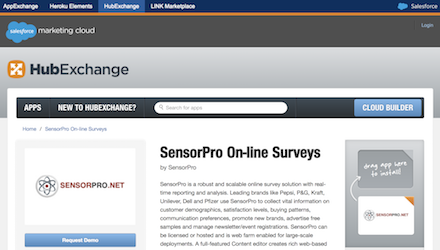 Sensorpro is listed in the Hubexchange and together we serve great brands like United Airlines, Hermann Miller and Moen. Sensorpro survey results can be used in Marketing cloud data extensions.